To find our regularly updated selection of news about arts, cultures and sustainability from around the world, visit the homepage section on the current website. To find out more specifically about our own news, see the“Cultura21 News” posts. To find all of our own news and news from around the world on this website, you need to check the “Cultura21 News” posts and our other blog posts in the multiple languages available (German, Spanish, French, etc.). Many news are not translated into English! Online: A mailing-list, a web-magazine, an archive for the 1st edition of our summer school ASSiST (in 2010), a wiki platform, and a selection of news from around the world on the blog of the current website, as well as Cultura21’s own news. ‘Cultura21 Germany’ and ‘Cultura21 international’ pages are also available on Facebook (while we retain a degree of skepticism regarding that social network). 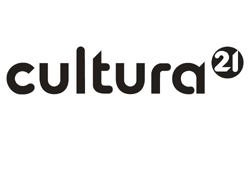 In Germany, where Cultura21 first emerged in 2005, the organization ‘Cultura21 Institut eV’ supports the German-speaking Cultura21 network. See the German version of this website for more details. In Mexico, C21MEX is active since 2007. See the Spanish version of this website for more details. In Italy, a Cultura21 network was active between 2007 and 2009. In the Nordic European Countries, with HQ in the city of Copenhagen (Denmark), Cultura21 Nordic (separate website) was founded in 2009. In France, the idea for a Paris-based French-speaking branch of Cultura21 was tested out in late 2010 – early 2011, but has been put on freeze indefinitely – we do have Cultura21 correspondents and links to like-minded networks in France. See the French version of this website for more details.